Local 17 Apprentice Austin Pitts; steps forward in a time of need. 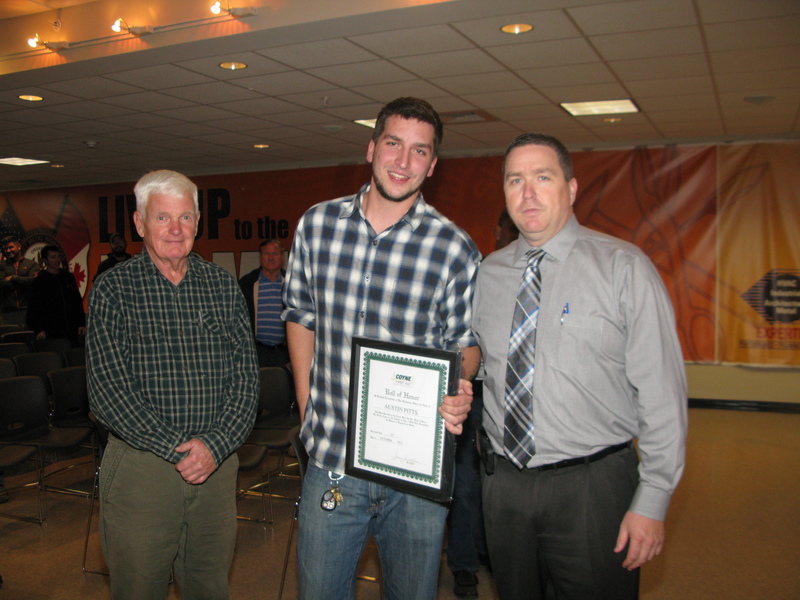 Austin Pitts, Local 17 Third year apprentice honored November 4th at the Union Meeting for his heroic efforts to help save a life. In June 2015, Austin Pitts stepped forward without hesitation to the aid of two motorcyclists. After witnessing an accident which involved 2 riders; a man and a woman. The woman had a compound fracture and was in severe pain. Austin and a friend made an evaluation and reassured the young woman that she would be ok. The man was in more desperate need of first aid. Austin observed the victim was bleeding profusely from a wound in the stomach area. Austin without hesitation took his own shirt and using direct pressure got the bleeding under control, and stayed with the victim until paramedics were on the scene of the accident. Austin, a Local 17 apprentice stepped forward recognizing the situation trusting his training using Coyne guidelines in all probability saved the man’s life.